Do you like long nails and gloves? That it does not go together? But yes, these amazing gloves with sticked long red nails are proof of that. Bright colors of nails and extreme length as well as variants with sharp pointy ends. You are more than welcome to enjoy your passion and order a pair of these specialty gloves! These gloves fit perfectly. Ideal for men as well. You can choose from red, pink, metalic, blue and black nail-polish or you can choose your favorite color. Almost everything is possible. Available colors of gloves: black, red, white and skintone. I use default form of tips number 2. The nail on the middle finger is 2.7 cm long. Please be warned the gloves with nails is delicate goods and one needs to make sure not to rip off the nail. This is particularly important with the extremely long nails, where the leverage ratio can be very high. Ask another person for help when putting these gloves with nails on as well as getting them off. 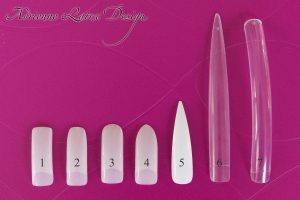 I can also offer an alternative with only one glove having those extreme nails, so that you can get them on/off yourself. 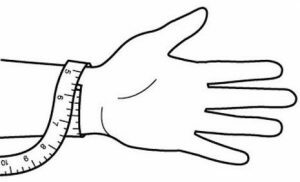 I'll help you choose the right size according to circuit of hand under the thumb and circuit of the wrist. 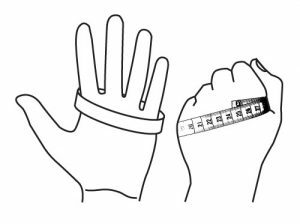 Manufacturing of the gloves is 6 to 8 weeks! I can't have all the glove variants on stock and need to order them first before doing the nails work.